YAY! This offer is back & just in time for Father’s Day! Enter in your email address on the My Publisher website, and they will send you an email with a coupon for a FREE $20 Hardcover Photo Book. Once you receive your code, you can turn around and make a 7.75″ x 5.75″ Hardcover Photo Book for FREE with the code or you can also use the coupon code to take an additional $19.99 off one of the larger photo books. 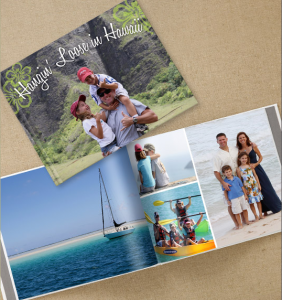 You can put together a photo book of a recent vacation or of a kid’s birthday! Or, if you want to get a jump start on Father’s Day, you could make a photo book for Dad or Grandpa! Photo books make awesome personalized presents! **Please note: This offer is only available to NEW My Publisher customers & your coupon code will expire 7 days after you receive it. Also, you will have to pay shipping on your photo book which is generally around $8.00.